Built in full aluminium by the prestigious Dutch shipyard Heesen in 2011, this stunning high performances 55m and 783GT yacht is back on the market, having been sold to current owner by Gaspard Milazzo in 2013. Her elegant and recognizable lines by Omega are complemented by a stylish interior from the boards of Ken Freivokh and Michela Reverberi, accommodating 12 guests in a master suite, four double staterooms and a twin cabin. Her twin 5766hp MTU engines allow her to a maximum speed of 24 knots and a range of 4,500 nautical miles at 12 knots. 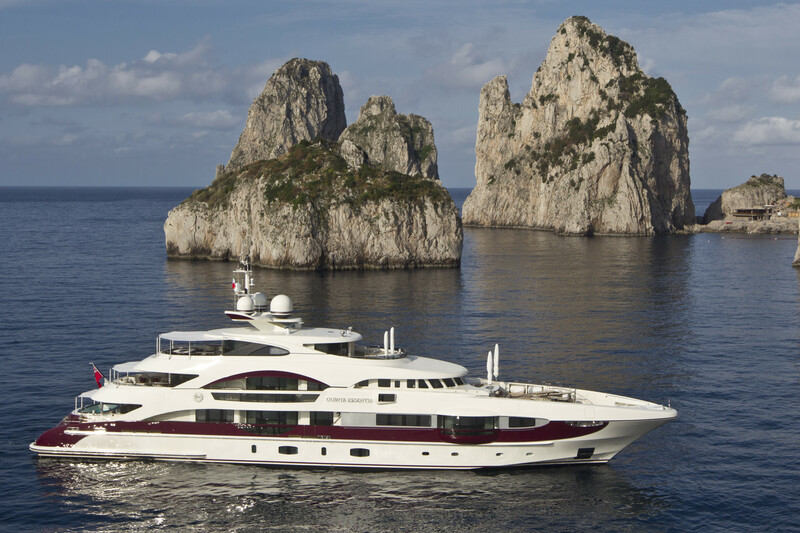 M/Y QUITE ESSENTIAL was a finalist in the 2012 World Superyacht Awards and ShowBoats Design Awards. Based in Monaco, M/Y QUITE ESSENTIAL is the best Pedigree yacht of 55m on the market, with very prosperous charter income records. She is also available for charter at 295.000€ / per week.